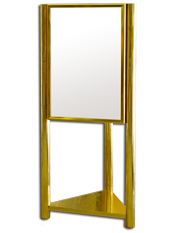 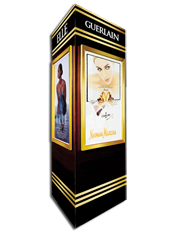 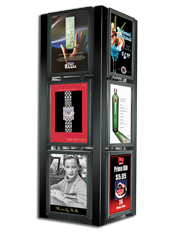 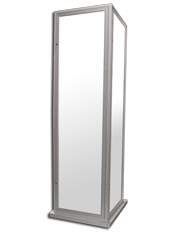 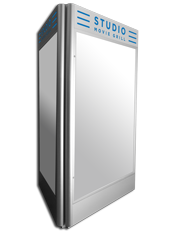 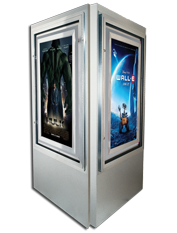 Kiosks are 3 or 4 sided freestanding, indoor or outdoor displays that are hinged and lockable, and that show off movie posters in either conventional 27” X 41” sizes or bus shelter 48” X 70” sizes. 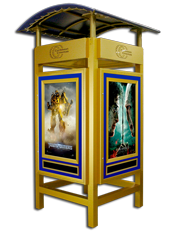 Kiosks come either with or without an area for a dater strip to display a Now Showing or Coming Soon graphic or show times. 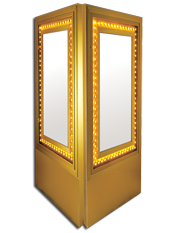 Kiosks can be non-illuminated or backlit using conventional fluorescent lamps or energy saving LEDs.